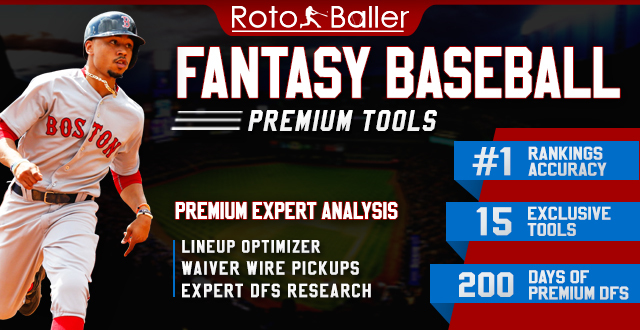 In this first installment of our insider's guide to winning at daily fantasy baseball leagues, we will begin to tackle the very intricate art of finding deep sleepers and value picks each and every day you set an MLB lineup for DFS leagues. When planning your projections and daily fantasy league draft strategy, the most commonly found gaps between a player's price tag (in salary cap leagues) and his potential offensive output for any given day, mostly lies in the righty versus lefty splits of pitchers versus batter data. The most common mistake that some daily leaguers make is only looking at the pitcher versus batter history. There are so many reasons to discount that general notion, but let's just say that we only take that data into account when there is an extremely large sample size (30 or more AB or an in-division opponent), or when all other well researched factors are equal and a final decision must be made using an outside factor. Now that we've gotten that out of the way, we can focus on the reason we are writing this guide: the art of identifying deep daily league sleepers we refer to as "platoon split killers." To understand the general concept of platoon splits is not very hard: the term basically refers to situational playing time preferences for certain non full-time players who are in a sabermetric-driven platoon split based on their historical ability to mash either right handed or left handed pitching favorably. 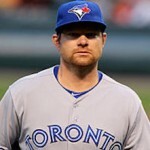 In order to win consistently at daily league fantasy baseball on sites like Fanduel, you must be extremely astute at recognizing and identifying these well patterned platoon splits, and also pay close attention to when the MLB daily lineups get released every day to see who is starting/sitting and when to use those deadly sleeper weapons. The most important part of this process is knowing your core group of guys to choose from. This trend changes for each team as the year goes on and larger samples sizes for each batter emerge, but you can generally bank on certain guys only hitting left handed or right handed pitchers. Conversely there are guys who always will sit versus righties, or ride the pine versus lefties. Below are five of the many lefty and righty "platoon split killers" that I personally like, as you can find some of these players featured in many of our exclusive Daily Fantasy Baseball (DFS) Lineup Picks in no specific order of strength. These guys are often found to be "undervalued," but that pricing range can go from the minimum of $2,200 to almost $3,000 depending on the player and his potential for the day. Of course these two lists are just the tip of the iceberg because there are many more values to be had using platoon splits research. But these players are great examples of frequently undervalued daily league sleepers who excel, or play mostly, versus the opposite handed pitchers. Identifying these types of sleeper values on any given day can give you the edge you will need to not only build a great team with the budget you're given, but also have an edge in winning over your competition. 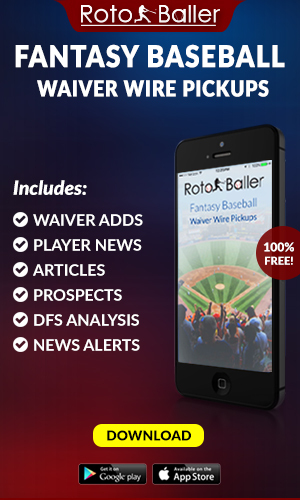 Get Our Exclusive Lineup Picks for FREE! 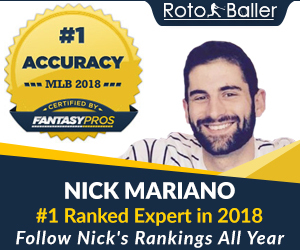 If you really want to ensure that you are getting the most well researched and exclusive daily league lineup picks available anywhere, RotoBaller wants to help you win. Don't have the extra shekels to spare on proven winners? No worries! You can now get our exclusive newsletter for free for one full month (a $29.99 value). 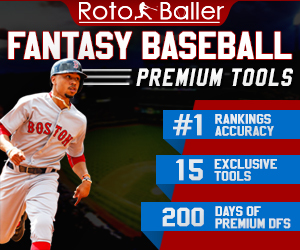 Simply sign up for a new Fanduel account, make your first deposit (which they match), and receive a FREE MONTH of RotoBaller’s expert MLB lineup picks for DFS leagues! Now that we’ve done all of the hard work in researching the best possible players for you to choose, all you have to do is create an account, set your lineups using the help of our recommendations, and be ready to look like a fantasy baseball superstar to all of your friends, family and hometown league-mates. 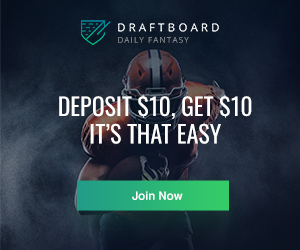 For some more resources about how to win playing daily league fantasy baseball, don’t forget to read our articles that give beginners and intermediates the information they need to learn how to play the game we all love.